Chatbots are conversational interfaces meant to assist individuals in interacting with larger organizations. If you’re looking for help while browsing a website, you might end up texting with a chatbot. They’re a bit more dynamic a problem-solver than a simple FAQ webpage. If you’re looking to speak with a customer service representative, a chatbot might try to help you out on its own, or it could help direct you to the proper department within an organization, where a human operator can provide assistance. As this technology becomes more and more integrated into daily commerce, it’s worth asking: what barriers does the technology face today, what improvements are being made, and what can we expect of human-robot discourse in the future? It won’t take you all too long, under a certain line of questioning, to reach the limitations of bot technology in 2019. As a four-time winner of the Loebner Prize — an annual competition that judges the world’s most human-like chatbot — Mitsuku is one of the most advanced algorithms in the field. I decided to have a little chat with her. MITSUKU: Hi, I’m the world’s most humanlike conversational AI. ME: Hi Mitsuku, can I interview you for an article about chatbots? MITSUKU: Hi there unknown. Why do you want to do interview me for an article about chatbots so much? ME: “So much” may be a bit strong. I figure you’d be able to help me understand chatbots better, yourself being one of them. MITSUKU: Here’s something I meant to show you. Enter a date and I will tell you what the UK number one hit single was on that day. MITSUKU: Please explain your reasoning. As I spoke with Mitsuku, it became evident that she and I had a somewhat different sense of how our conversation was going to go. ME: Apologies Mitsuku, but could we stick to the topic of conversation? I’m not interested in discussing music with you, so much as the intricacies of AI-integrated conversational bots in 2019. Does that make sense? MITSUKU: No need to apologise. Do you mind if I tell other people? MITSUKU: What are you interested in? MITSUKU: It makes sense to me. Notice how Mitsuku picks up on particular terms I use: “apologise”, “interested in” and “makes sense”. Mitsuku may be award-winning, but in her online form, she’s reminiscent even of the earliest chatbot technologies. ELIZA was perhaps the earliest successful chatbot, created by an MIT researcher. Developed only a decade and a half after Alan Turing first proposed his so-called “Turing Test”, Eliza was able to hold full conversations (in a sense) with humans who typed to her. ELIZA was, technically, quite complicated — more than can be explained simply in the scope of this article. Overall, though, her gimmick was pretty straightforward: whatever you’d type, she’d parry back in the form of a question. “Men are all alike,” you might say. You see? “Alike” to “connection”. Sometimes the mechanism was even more obvious than this. ELIZA may be over half a century old now, but her essential underlying mechanisms remain. 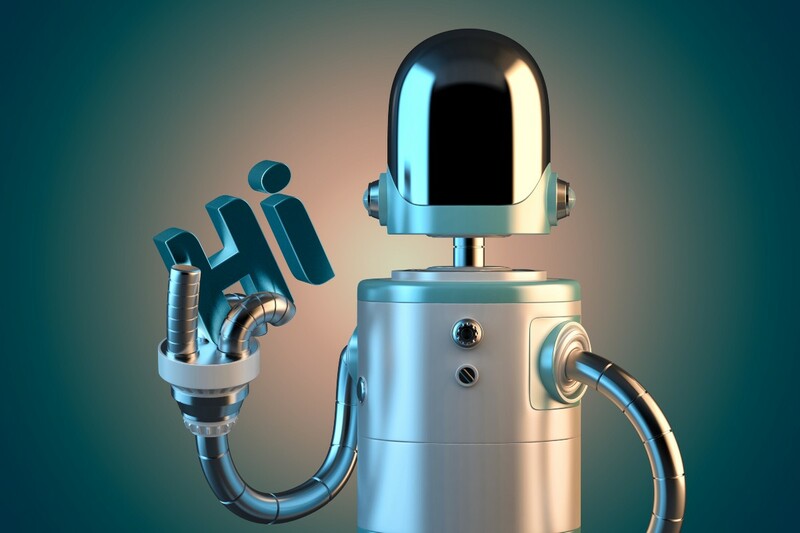 The majority of chatbots today leverage keywords and phrases in your text, in order to return a response that, even if it does sound like stilted conversation, makes some sort of cogent sense. The most advanced AI chatbots incorporate similar mechanism but are powered by larger datasets for training and more advanced machine learning algorithms. In addition, today’s chatbots improve by leveraging user input as training data. An AI chatbot can learn to better serve those they converse with over time, by updating its machine learning models as it completes more and more conversations with humans. In fact, the technology has been developing, in a meaningful sense, on two fronts: in AI development, but also in commerce. Companies incorporating this mechanism into their customer service models have introduced a suite of new user experience components to the traditional chatbot paradigm. Pop-up windows during online browsing and shopping are a time-tested marketing tactic, but new bots feature improved interface design, too. One popular trend is to display chats as text bubbles, to capitalize on our familiarity with those visual cues. After all, when the goal is to design a robot that mimics a human in conversation, familiarity in visual presentation is an integral part of the overall experience. A good example of where commerce and technology come together came in 2016, when CoverGirl released a chatbot version of a social media influencer, Kalani Hilliker. Studies show that chatbot users skew young, and female, so CoverGirl’s bot acted as a way for that demographic in particular to interact with its brand, in a way that may have felt novel or even fun to some. We can expect chatbots to improve markedly over the coming years, as natural language processing in AI improves and proliferates. Major tech companies now regularly build deep neural network technology that allows speech recognition machines to better understand and interact with people. Once deep neural networks become more common, chatbots will start surpassing the classic Turing Test, proliferating online, and becoming a less awkward part of our everyday lives. In fact, some experts claim that chatbots could, one day, evolve to replace search bars in our internet browsing. Think about it: when you query a search engine, you’re essentially asking a question that a machine is answering. Most of the time you type in an approximation or abstraction of your question, and then you have to scroll through varyingly relevant results. If that machine were conversational, you’d have a much easier time reaching the search result you’re looking for. Until that day, though, we’ll have to deal with what we’ve got. ME: What other people do you know? MITSUKU: I know far too many people to name them all. ME: Can you name one? ME: Ah, Mike! He and I go way back.